Experience the best diving in the world as you dive the largest living barrier reef in the world right off the coast near Placencia. 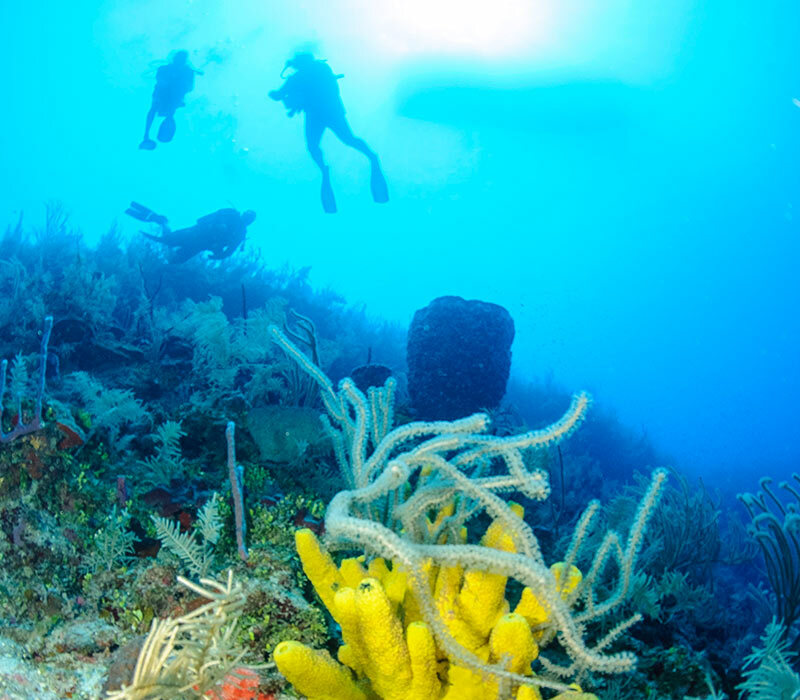 These local dives on the coral reef include wall dives, canyon dives and faro dives along the Southern Barrier Reef between the sandy isles of Silk Caye, Laughing Bird Caye, and Pompion Caye. Each day your guide determines the best site depending on the interest of the group and the weather conditions of the day. These two-tank dives are sure to impress! Distance: As the reef is 185 miles long the travel time can range from 40 to 90 nautical miles from Placencia which is approximately 1 hour and 45 minutes boat ride. Timeable: 24 hours notice required.